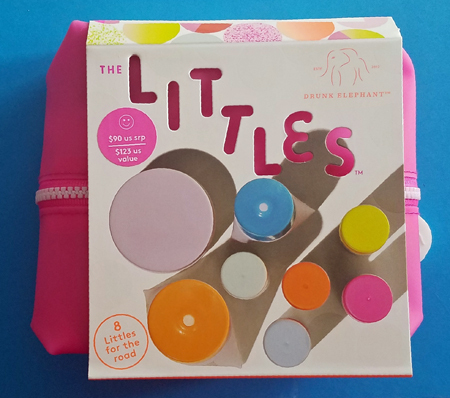 First of all, I want to offer a huge thank you to Drunk Elephant, whose skincare products I recommended in the last makeup thread, who sent me a new set of Littles to say thanks for giving their amazing products my enthusiastic endorsement! And I want to extend an extra thanks for being so thoughtful in their outreach to me, noting that I don't have any affiliate relationships and saying they would only send something if I felt comfortable that it wouldn't compromise my integrity with y'all. That just made me all the happier — and so I am eager to disclose that they sent me a freebie (with no strings or future obligations) and that they were incredibly sensitive about it. I know I'm not the only one who appreciates when a company has good corporate practices in addition to great products. Take my money! To get this look, I used Neutrogena's Healthy Skin Primer all over (including my eyelids; don't forget the eyelids! ), followed by Becca's Shimmering Skin Perfector in Rose Gold across my cheekbones, above my temples, down the bridge of my nose, and on my philtral columns (between my nose and top lip). 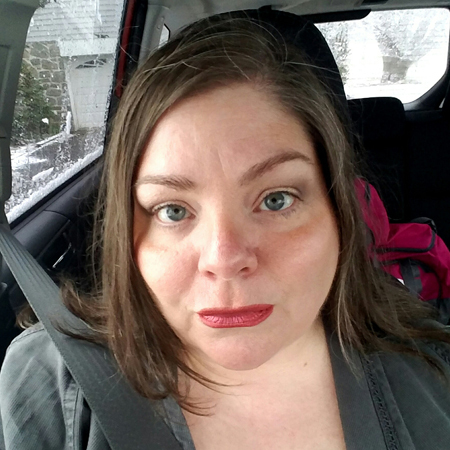 My lips are outlined with ColourPop's Lippie Pencil in Skimpy, then colored with Nyx's Soft Matte Metallic Lip Cream in Cannes. It was the first time I used the latter product, and I really liked it. It dries quickly without getting too dry or flaky, and feels like there's nothing there. 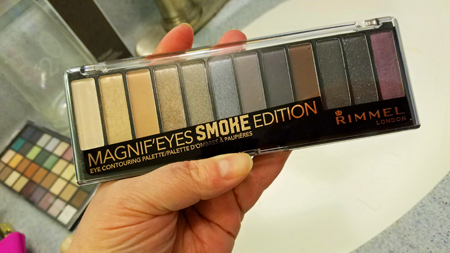 On my eyes, I used Elf's Molten Liquid Eyeshadow in Brushed Cooper below the crease (the quality of which is as good if not better than much more expensive liquid eyeshadows), and blended it out to the purple in Rimmel's Magnif'eyes Smoke Edition palette. I used Nyx's Le Chick Flick waterproof mascara on my lashes, and shaped my brows with Ardell's Brow Sculpting Gel in Clear. I've never been comfortable doing a bold lip; I tend to strongly favor bold eyes and a muted lip. But I've been playing around more with the opposite, and I'm starting to feel a bit more excited about it!